Strong Female Protagonist — Questions? 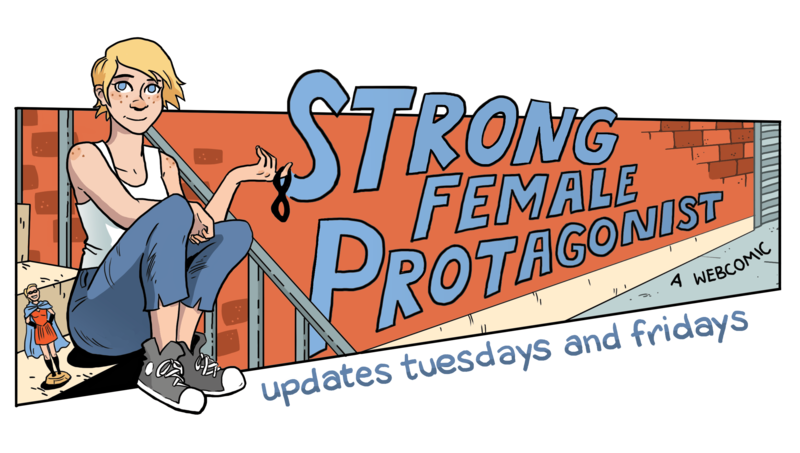 This is the shop for the webcomic Strong Female Protagonist! Here you can find t-shirts and hand made minicomics. All prices include shipping. Please allow up to two weeks for shipping, and direct any questions to me, Molly, at mollyostertag@gmail.com.